Last spring, I ran a breakthrough PR of 1:41:03 at the Rock 'n' Roll New Orleans Half Marathon, a time I only dreamt of just a few years earlier. Even though I expected to perform well after a successful training season leading up to it, training efficiently hasn't always come easily to me. Although it was my third half marathon PR in two years, I spent several years previously trying to break out of a running plateau in which, despite getting the miles in, I wasn't seeing any progress. By doing too many of what should have been slow, easy miles closer to race pace, I could never hit goal paces in speed workouts and would quickly fizzle out after the first few miles in long distance races, a telltale sign that I had been pushing myself too hard. What finally helped was slowing down to an easy pace that allowed me to run quality intervals in speed sessions and faster times at races. So many runners, especially newer ones seeing rapid progress in the beginning of their training, get caught up in thinking that to race fast, you have to train fast and that extreme fatigue is part of the process. However, this isn't the case. It's important to keep the majority of your runs easy and conversational to build time on your feet and avoid exhaustion, burnout and injuries. According to Rebekah Mayer, a USA Track & Field Level 2 certified endurance coach and national training manager at Life Time Run, even the fastest elite runners have a large difference between their fast and slow days. This is a concept called polarized training. "Better recovery allows for higher mileage, which leads to better adaptation for endurance events," Mayer says. "It also allows for hard days to be truly hard, leading to better fitness gains." Once I slowed down my training, I finally started to see some gains. Over the past three years, I've taken my half marathon PR from 1:45 to 1:41 (a 7:40 average pace) while keeping my easy pace at a conversational 9:00 to 9:20 per mile—almost two full minutes slower. When I lined up in New Orleans, I was nervous that I would fade fast after clocking 7:43 for the first mile, but I actually ended up coasting through even splits for the entire race despite never having held that pace for more than three miles at a time in training. What finally helped was slowing down to an easy pace that allowed me to run quality intervals in speed sessions and faster times at races. 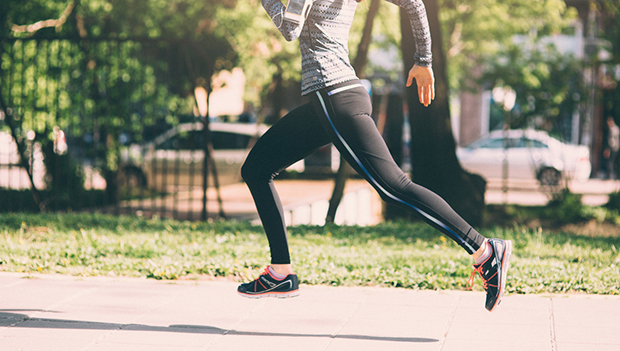 According to Mayer, running slowly in training can also help build an aerobic base and fat-burning capacity, a necessity for half and full marathon events. Mayer's own coach experimented with heart rate training, using 140 beats per minute as a cap for easy and long runs with most of her athletes, adjusting it to 130 for older age groups. "I can track how my pace has improved at 140 over the last two-plus years, indicating improved fitness," Mayer says. Marathon pace is a "gray zone" that is too slow to trigger most cardiovascular adaptations and is too hard to be "easy" training, according to Mayer. Her training programs at Life Time Run include a few long runs with segments at marathon pace, but most are at an easy, conversational pace. Finally, in addition to helping you race faster in the long-term, running slowly can also make long runs more enjoyable. Plus, as an added bonus, it can decrease hunger after the run as well. Combining this with balanced nutrition can contribute to better gains in fat-burning efficiency, supporting performance and weight-management goals.